The secret to Emilie Shapiro’s sweet necklaces? That’s an extra helping of love. 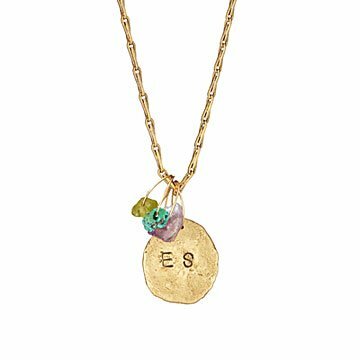 Jewelry designer Emilie Shapiro's necklaces celebrate your family's birthstones—and they're made with extra love. "When I became a mom," Emilie tells us, "I wanted to create a piece of jewelry that I could wear close to my heart every day and represent my family." The rough gemstone beads add a bit of special sparkle (choose up to four to represent loved ones), while Emilie's hand-sculpted moon charm pays tribute to a sweet phrase she and her mom say to one another: "Love you past the moon." We're aww-ing. Handmade in New York.